AFTER touring Australia over the past three years to sold out houses and to popular and critical acclaim, The Paris Underground Cabaret is coming to Perth for the first time. 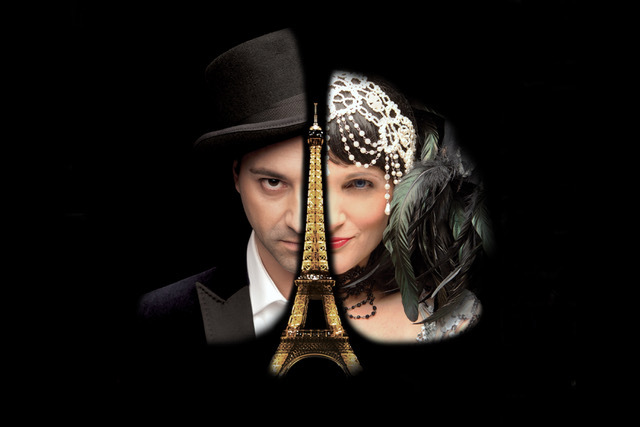 A subversion of the classic French cabaret and variety show, this production brings together a diverse range of performers; magicians, dancers, singers, circus and burlesque artists. The show includes the magic of Madotti and Vegas, Australia’s unique magicians, the beauty and grace of aerialist, dancer and circus artist Hannah Trott; the rare skill of tap-dance king Monsieur Eden Read; the dangerously charming and risqué repartee of chanteuse Aurora Kurth and new to the underground, international burlesque artiste, dancer and showgirl, Mimi Le Noir and the gravity defying talent of cirque specialist Tim Rutty. Co-creator and director Richard Vegas said audiences will witness the delights of a magic spectacular and French burlesque, cabaret and variety show when they performed at the State Theatre Centre of WA for one night only on 22 August. “The singers, dancers, aerial artists and illusionists will seduce and intoxicate the audience with a show that sits as a cross between Moulin Rouge, with a touch of Crazy Horse, high-art circus theatre, comedy and a magic cabaret,” he said. To be in the draw to win a double pass to The Paris Underground Cabaret at the State Theatre Centre on Wednesday 22 August at 7.30pm. Simply email win@haveagonews.com.au with Paris in the subject line or call the office during business hours on 9227 8283. Competition closes 18/8/18.